Santa Ana bermuda was born and bred California. 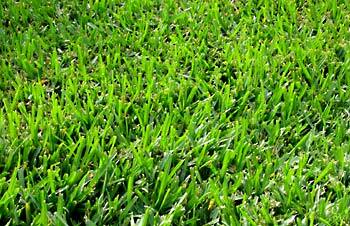 It is one of the most drought tolerant hybrid bermuda grasses, with a short dormancy period. While normally used in Southern California, Santa Ana pushes the northern boundary of the transition zone, and is quite successful. Its ability to tolerate cooler temperatures, excellent fall color retention, and early spring green up help push the growing and climatic regions of this bermuda variety. Its medium-fine deep blue-green color and wide range of mowing heights make it an ideal choice for golf courses, athletic fields, commercial and residential lawns. CLICK HERE FOR THE PRESERVE GOLF CLUB TURF REPORT--SWITCHING OUT TO SANTA ANA BERMUDA!